WeWork started the concept but it has only grown and expanded from there. The co-working or flex space model which began in NYC is fast becoming the new Uber of commercial office space. With large corporations abandoning the traditional work model for more flex space, it is changing how landlords attract and retain tenants. Recently, landlords are discovering that they can use their building’s flex space as an amenity to attract tenants. Flex space isn’t just a coworking hub: it is bookable meeting space, conference rooms, event space, and multimedia rooms. Tenants are also demanding more from flex space operators. Here are 5 reasons why landlords should view flexible space as an amenity for their tenants. WeWork bought the Lord & Taylor site on 5th Avenue in NYC recently. The goal is to target retailers and combine the two in order to increase foot traffic to both. Other co-working firms are catching the wave and looking to broaden their tenant mix from simple office space to office plus. The ICSC (International Council of Shopping Centers) reports that co-working spaces will increase from 600 locations in 2010 to over 26K by 2020. An NPR/Marist Poll reported at the beginning of this year that currently, 20% of the workforce is made up of contract workers. That number is expected to increase to 50% of the workforce over the next 10 years. Flexible space is the ideal solution for independent workers who may need workspace on a short term or temporary basis. Most businesses aren’t looking to expand their office footprints, but flex space operators are, thereby keeping large office space in high demand. Flex space operators are targeting large shopping centers and corporate offices with a thousand or more employees to fill their empty office spaces with a diverse new mix of tenants. 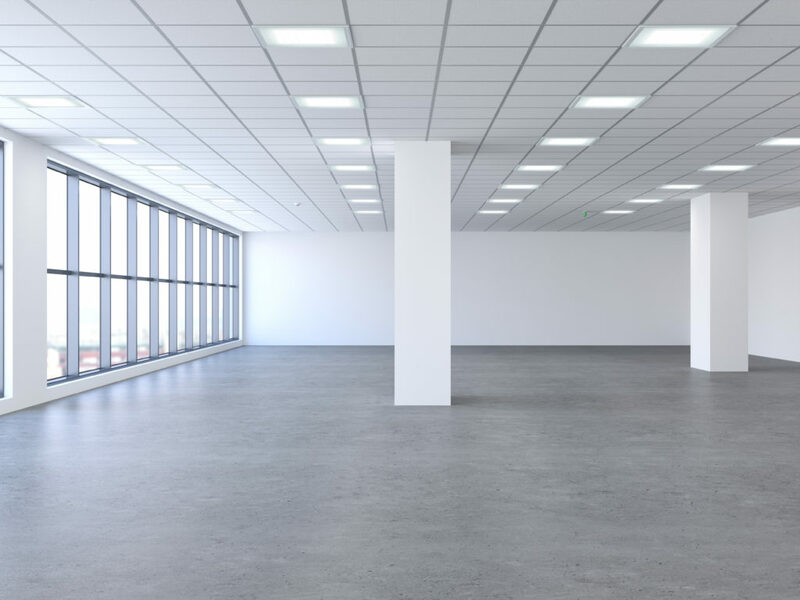 Large office parks and skyrises with plenty of vacant office space can mix in dozens of different businesses that can provide great amenities to the building’s tenants. Companies with their own office spaces are starting a new trend turning flex space into off-site meeting space. Breather, a similar model to WeWork except they provide very short term office spaces that rent on average for a day or two, provide flex space to companies to hold off-site conferences, meetings, and brainstorming sessions. Along with the changes in workspace models is the change in work styles. Everything from office design to amenities is made to increase and foster collaboration among co-workers and among other tenants. According to one global study, over 60% of co-working tenants report an increase in focus and quality, while more than 90% reported that flexible workspace has aided business growth. This entry was posted in Ashby Real Estate Group News, NAI Dominion News on September 20, 2018 by Lauren Henderson.